The staff members are really good........ Well coming to the basic needs there is not a single problem, the infrastructure is really very good...., there is no problem in the fees and donation depends,...... The teaching and the staff is the best one I ever experienced..... This college is one of the top and will remain top. There are many clubs in the college. Also, there are many technical clubs for technical development. There are social service-oriented clubs like Rotaract club of MNJEC, which is the biggest Rotaract club in Asia and NSS. There is a technocultural fest which is one of the best fest in Chennai. All the departments are well-equipped with proper lab equipment. All the classrooms have proper ventilation. There is a health centre which is also open for 24*7. There is a food court which serves sumptuous food and also a mini canteen which serves snacks and juices. There is a library which has all the needful books and an e-centre which has many paid subscriptions available at free for students. The college follows an outcome-based education. All the courses are also designed in such a way, and each course has course outcomes and programme outcomes. Most of the faculty are well experienced and have good teaching skills. 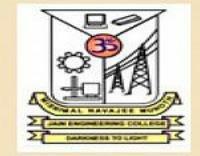 Placement : MNMJEC is known for its placements. Most of the students get placed (nearly 70%+). The placements of the circuit branches are 80%. The average salary offered is 3-5 Lacs. Also, there is placement training for every student who undergoes BE programme in the college. After completing my 12th grade from high school. I joined in MNMJEC through Anna University engineering counciling. And choose my favourite department Electrical & Electronics Engineering.